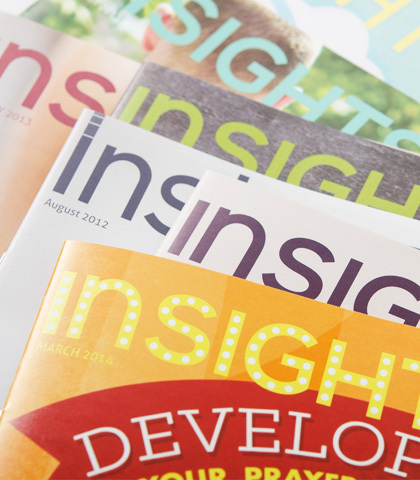 Insights magazine is designed to encourage, inspire, and instruct you in your journey of faith. Produced by Insight for Living Canada this free monthly publication is enjoyed by thousands of people across the country. Finding a church home, like finding a house to live in, is one of the most important decisions you will make as a believer. It is worth putting time and effort into it. Living without hope is like sailing on the open ocean with no wind. It’s hard to get going with nothing driving us toward our destination. The virgin birth circumvented the transmission of the sin nature and allowed the eternal God to become a perfect man. He never sinned, which qualified Him to be a righteous substitutionary sacrifice for sinners. Night after night I cried out my heart to God. Hadn’t this been what Hannah did and her prayers were answered? Wasn’t God listening? Jesus’ birth fulfilled the prophecies and promises of a Messiah who would come. This Advent reading plan will help you to better understand and appreciate these events and help you prepare for Christmas. Pondering who angels are and what their purpose is, I’ve realized we share an intimate connection with them.